What sort of problems should a foreigner expect now or in the future with owning a .in domain name. For example India seems to have vague obscenity laws that could be apply to .IN's? Also i wonder how easy is it for a India company to just register the trademark and take an existing domain? What about the future? Could the .IN registration rules be completely changed? All IN Registry rules apply equally to everyone, regardless of where they live or what nationality they are. There always seem to be rumours swirling around that this will change, but I doubt it as this would reverse the main trend of the last 5 years which has been opening up .in to the world. Adult domains are probably risky to own. Adult web sites in India are restricted as being against public morals and decency. Someone filing a trademark after a domain is registered should not make a difference. One prong of the test in the INDRP is registration of the domain name in bad faith. There can't really be bad faith if when you registered the domain the trademark didn't exist. Thanks for an excellent post Mitsu! I've just stuck the thread. I'll change the title too to better reflect the information in the thread. I would think that goes to registering the domain for an illegitimate purpose. 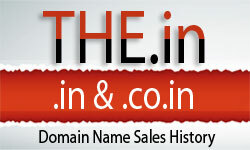 I think most of domains parked at for example sedo have 'domain is for sale' are they all breaking indpr policy? Yes ! .In registry's view is that when complaint is filed by trademark owner on these domains then chances of of winning is almost NIL. As Bad Faith is already proved as per 6(i). You can ask Sedo to delete the particular term, I think they are allowing to delete this term ? I cannot believe alot of what i just read on this thread. India's govt better get serious(and practical) regarding .in. It costs $13 a pop and there are all these conditions? Many of these conditions are nothing but ridiculous. 1. Persons and our clients who had gone through INDRP process. 2. Our Discussion with Leading .IN Arbitrators. 3. Our Discussion with leading Attorneys who filed cases under INDRP. 4. Our discussion with .IN Registry. As a .In registrar we used to interact with people and that is why we wrote here for your benefits ... if post hurts somebody then we can request the deletion of post.... As a Accredited .IN Registrar we took the risk of posting such a post for your benefit otherwise just think which .IN REGISTRAR updates you on this things ? Just think..... and give us name of registrar ? I don't understand why .in registry have some problems with domain reselling business. I read some weird things in this topic, imo. Mitsu, thanks for the comprehensive post! From what I've learned about Indian domains to date, there's nothing on the list that really surprises me. Most people already know you can't just register a domain that infringes on a trademark. As adult websites are restricted in India, it's also not surprising that Indian adult domains are risky to own. With regard to parking, it's my understanding that parking a website is always going to be a borderline issue and can be risky (not just with Indian domains, but with other domain extensions as well). One obstacle for Indian domain investors is that they can't easily search the Indian trademarks register. They have to hire a trademark agent each time they want carry out a search. Do you happen to know if there are any plans to make the register freely available to the public (eg. like the US trademarks register)? We donot think that Indian trademark will be available free of charge searches as this is paid service till now and if Trademark Registry want to make it free then they require orders from Govt. of India. and you know how difficult to change the rules once created. Thanks Chaudi, for initiating the thread. There are few risks that are involved and mistakes that do happen, especially in the beginning stages and beyond when one newly gets involved into registering domain names. This can only be minimized, over time and to expect that it would never happen would too impractical. Therefore, there is a likelihood of the aforesaid 2 points happening. As mentioned by Mitsu, if someone believes that their domain is highly valuable, then he / she is free to register the name for a TradeMark (and nobody would stop them, actually!). But if on one hand one doesn't register for a trademark and on the other, he/she is worried about the name being acquired, that it reaching a point of being unreasonable (like having the cake and eating it too). I recently heard from some reliable sources (to be validated though) that there are some Trademark registration companies who offer bulk Trademark search services for as nominal as Rs.500/- (approx. US $ 2.00 for each name) for checking 5 names. I don't intend to suggest that it is wrong to expect providing name search as a free service to domainers. But everyone here would be able to reasonably understand what would happen at the TradeMark registry's office if even a small fraction of .in and .co.in domain names registered daily, around the world, are forwarded for a name search!! It is okay to be concerned about the whole issue. But to actually worry about it every now and then or endlessly often, is unnecessary and can be avoided. It is better to be safe than sorry. And it pays to be safe. Lastly, at some particular point, we have respect the laws that exist. After all, it's the law of the land. The existing laws may not be fully evolved. But it is not perfect everywhere either. And that's probably, IMHO, a small price to be paid as the pioneers in the .in domain industry. That's very true. Doing your research will help a lot, but even then domainers will still make mistakes along the way. After all, we're only human! I agree that searches carried out by trademark agents should obviously not be free (and if I need expert advice, I would definitely seek the services of such trademark agent). Mitsu - My Favorite .In Registrar, And Mitsu's Owner Sanjeev Goyal so friendly that even when I was not his client he helped me to clear some problem with .IN Registry. He is well connected person in .IN Registry as he was technical committee chairman in .IN registry. And it seems every INDRP rules is know to him so deeply. I just saw a article on Sanjeev Goyal in Times of India (published in 2004 - Leading Newspaper of India) and I understood why he is so deeply know INDRP. Click to see the article. I transferred all my .in domains to them now am assured if any legal problem will come my registrar is here to protect me. Can you please find out about such a service and update this thread? I am sure it will be very useful to all of us. Thanks newspaper article you mentioned was came just before .IN launch and .In registry was in initial stage. i.e. in Dec.2004.